Do you have a bulletproof customer insight strategy? Here’s how to develop an effective strategy for growing your business. In this era where the buyer has plenty to choose from, it is you –exam the business – that has to try the hardest to gain and retain the attention of your customers. So how do you do that? How do you ensure that the customer skips all your competition and chooses you? Enter customer insight. Essentially, this is when you get into the minds of your target market. You find out what they want from you and how they want it. Customer insight provides you with an edge. You can easily get your foot into the door with such insight and then push on to gain more of the market share from your competition. Instead of guessing which direction you are going with a certain product, why not just have your customers point it out for you? In other words, customer insight enables your business to hit the mark, and remove the guesswork, when it comes to satisfying your consumers. After all, you are giving them what they want, when they want it and how they want it – it’s a triple win! In the end, you save a whole bunch of time, money and effort and your customers feel like they’re being valued, and consequently, keep coming back for more. They even introduce their friends to your business – how good is that? All this sounds dandy and all, but you might be wondering…. how exactly do you translate it into real-world practice? You need to step away from marketing to the general public and hoping someone among them will listen. This is akin to throwing a rock in a river and hoping that you will hit a fish – it rarely works. With customer insights, however, you reach out directly to the people who are interested in what you are offering. You show them all the bells and whistles of your product, letting them know why they should buy it. For instance, in the US alone, around 50 to 60 percent of the population already knows the category and brand of apparel that they want to buy. Why not market to the folks who are already willing to spend? Customer insights are particularly useful when you are developing a new product. Many companies usually feel that they know enough about their industry and product. They will go ahead and roll it said product based on only their knowledge. This is so dangerous. Without finding out what your intended customer wants, you might deliver a product that is way off the mark. In other words, “what got you here, won’t get you there”. 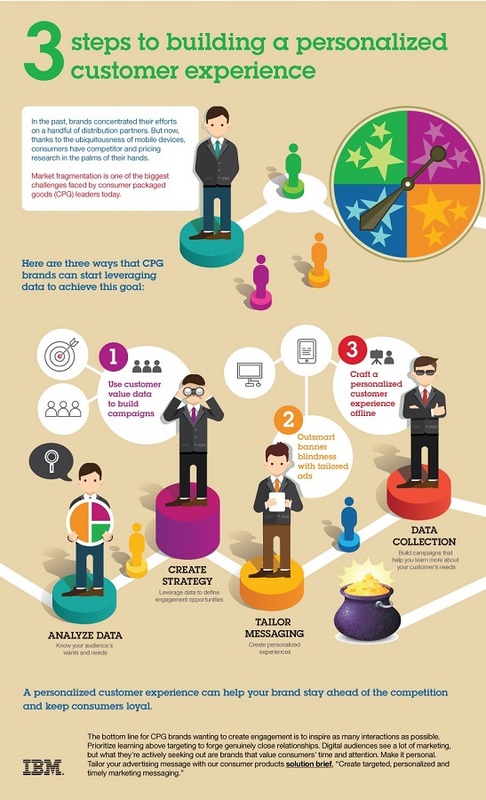 This infographic shows you just how businesses are integrating customer input into their product development. You can find 5 case studies of how companies have used customer insights superbly here. Customer insights are the best source to learn customer expectations, what they’re thinking, their likes and dislikes, behaviors, and all this help in customer acquisition or retention. Thus, to improve your marketing and product development and ultimately your business you need a customer insight strategy. 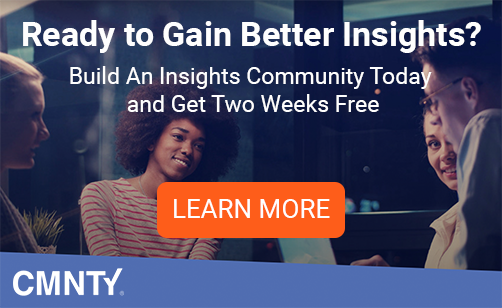 What Is A Customer Insight Strategy? Obviously, you cannot just tumble headlong into the realm of customer insight because you want to turn your business around quickly. You need to take a pause and figure out carefully how you are going to get a look into your customer’s mind. In other words, you need to strategize. 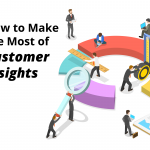 A customer insight strategy is the game plan that you (and your team) develop for gathering and analyzing customer data, and then turning that data into valuable insights and key actions that your company will implement. This includes the analysis of various qualitative and quantitative data in order to gain some understanding of your customers. In this article, customer insights consultant Paul Laughlin simply defines it as a series of decisions regarding the actions you are going to take. In so doing, you cut out the theory involved in many strategies while focusing on actionable decisions. Still not entirely sold on the idea of customer insights? See what President of 24K Marketing Bob Clark has to say about it in this short video. And like with every strategy, there a few features and components that are key to its success. WHY – What’s Your Business Objective? Ask your team: What is your company’s main priorities over the next 90 days, 6 months, or 12 months? WHEN – What’s Your Project Timeline? How long will you be gathering data? When will you be analyzing it? When and how will the findings be communicated to key stakeholders? When will the customer insights be used for mapping out key actions? CONSTRAINTS – What Limits Do You Need To Work Within? 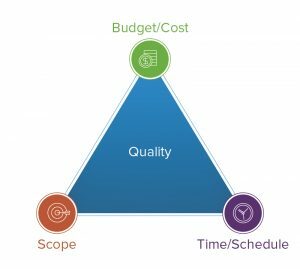 Most projects are bound by three key constraints – time, budget, and scope. So project teams need to creatively find ways to achieve their project goals within these constraints. What constraints does your customer insights project have? Write them down and verify them with your team. WHO’S THE TARGET – Which Segment Is Relevant For Your Customer Research? Which segment of your customer base are you wanting to learn more about? This entails exhaustively doing your homework on your clients and consumers. You need to find out their purchasing patterns and online habits. Then go further than that. You also need to find out why they fall into such patterns and habits. For example, consider someone buying sneakers. They might do so because their old pair is worn out and they need a new one. Alternatively, this customer might be a sneakerhead – an individual who buys sneakers as a hobby. If you are a sneaker company, you should be able to differentiate between these types of your customers when they visit your online store. Each type will also want a different kind of sneaker. The sneakerhead is more inclined towards the stylish footwear whereas the other kind is seeking a functional sneaker that will last longer. Consumer research is able to let you know which one you are dealing with and how to market to them. What type of data would be most useful for you to achieve your goals defined earlier? As you are doing your consumer research, you are collecting large amounts of data on your customers’ online habits. Considering the amount of online activity, you can be overwhelmed by what’s coming in. Who is my target population – that is, who should take my survey? What demographic groups do I want to look for within my pool of survey respondents? Who amongst your team will be responsible and accountable for the success of your data gathering activities, and who are the stakeholders who are responsible for utilizing the customer insights gathered? Although most of the data collation is done by your customer insights software, you will still rely on humans to make sense of the summarized data put before you. Therefore, you need to ensure that you have the right personnel with the relevant technical know-how to handle your customer insight. First and foremost, you need folks who have the IT skills to run the software, manage the databases and make sure everything is running smoothly. Your marketing and product development departments also need individuals who are adept at applying the results of the insight into real-life action. 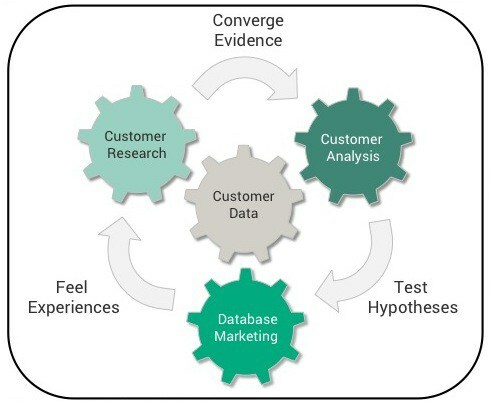 How To Create Your Customer Insights Strategy? We suggest you schedule some time to work and make decisions on each based on your timing, budget, scope, and available resources. There’s no getting around this. You need a competent team in place if you intend to get any useful customer insight. As a strategy, you need to pick out the right individuals for your team. Although getting customer insight requires a fair bit of analytics, you shouldn’t just focus on members who have a good head for numbers and technical acumen. You also need individuals who are highly creative. 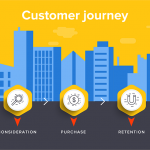 What is a customer journey map? This is the route your customers take along your sales funnel, stretching all the way from initial contact, through consideration and purchase to retention and advocacy. Along the buyer journey, your customer will experience different things with your organization. These experiences will determine if they proceed to the next part of the funnel or not. You should, therefore, keep a close eye on their experiences. By consulting your sales and support departments – the people who have the more direct contact with your customers – you are able to get some insight into your customer touchpoints. For example, the support team will let you know that many customers are having a difficult time using your software or app. You can then relay this to your developers, making them come up with a more intuitive interface that satisfies the customer. Need helping mapping out your customer journey? You can use this template. Once you’ve got your customer journey mapped out, you can then get plenty of customer insight through commissioning surveys that focus on specific parts of that journey. 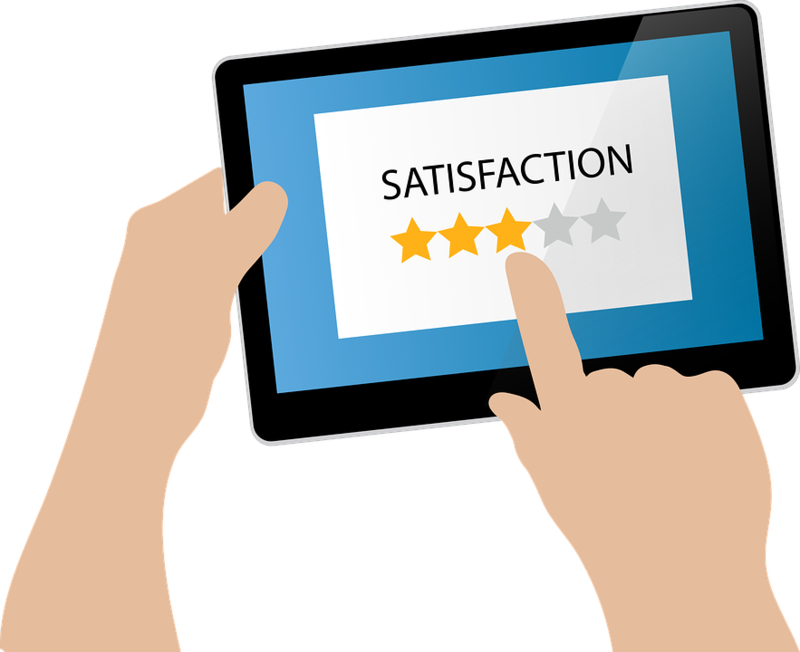 These feedback surveys let the customer tell you what they think of your product or service, at the stage that is most relevant to them. Armed with this information, you can adjust where necessary, making your business more streamlined to offer the customer exactly what they want. You should also know that once customers feel that their feedback is taken seriously, they are more likely to progress further on your sales funnel. And that is something you really want to happen. Asking effective survey questions is critical when deploying customer surveys. Here’s a guide for writing good survey questions. A customer insights platform is a great way to deploy your survey and further foster your relationship with your customers. On such a platform, you build trust with your customers through extended discussions. They offer plenty of suggestions on where you can make your offerings better. One standout advantage of this platform is that the members become invested in the product or brand and become advocates for it. They spread the word and invite more people to try out the products. And this is really good for your business. How? One study by McKinsey showed that word of mouth between customers is twice as likely to succeed when compared to paid advertising. Also, another study found that 37 percent of customers acquired through word of mouth are more likely to stick around. Gaining customer insight does not come easy. You will find that there are some hurdles you need to jump in order to successfully complete the race. Banking on machines to do everything You now know that gathering insights requires some software to track customers’ online behavior. You might be tempted to leave it all up to the ones and zeros to come up with the final answer. You couldn’t be any more wrong. Much as the system can be automated, you still need humans to make sense of all the data. Once they have, they will then decide to take action. 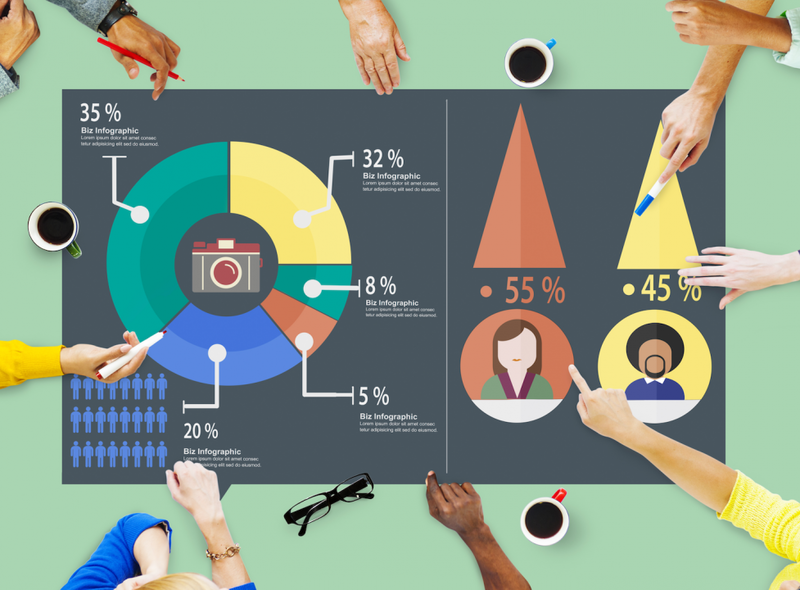 When you set up your customer insights platform, do not expect everyone to participate. As a matter of fact, as much as 90 percent of the community will just come along for the ride, never actively putting forward anything. You, therefore, need to temper your expectations and work with the 10 percent who are willing to contribute regularly. Do not get too excited and go out to gather customer insight when you don’t have the experience to properly execute. For example, you might decide to use a community platform. You will throw plenty of cash towards building it from the bottom up and still find that you have numerous errors within it. It is better, therefore, to contact someone who already has a proven platform that will host your community. Gathering valuable customer insights is a fantastic way for you to know which areas need attention. Follow the above steps to develop a strategy for collecting these insights, enabling you to fine tune your business to your customer’s needs. In so doing, you’ll cultivate trust and loyalty with your customers, making them become advocates for your brand.